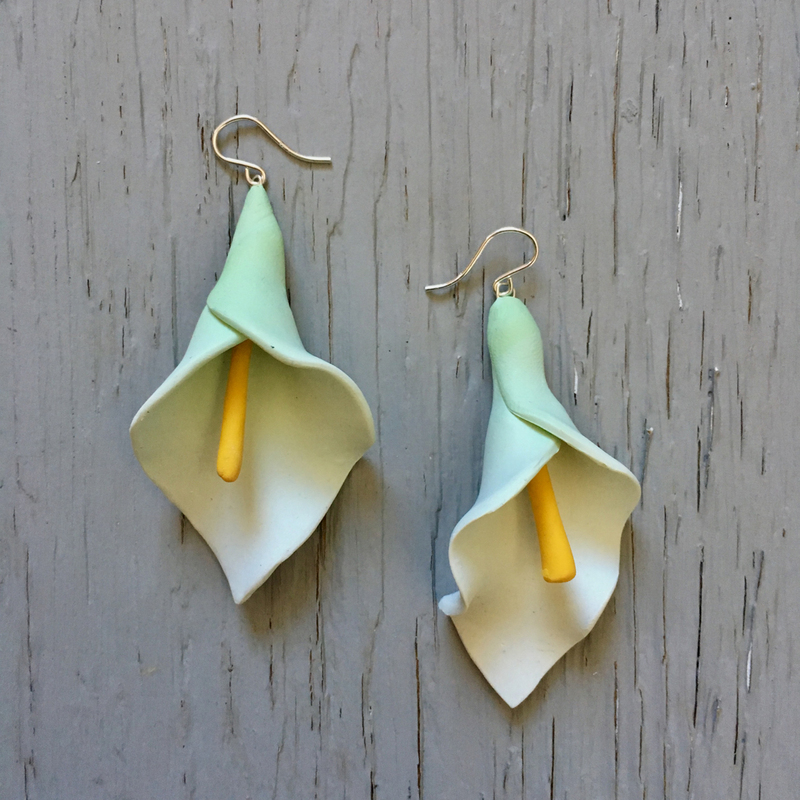 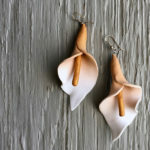 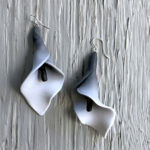 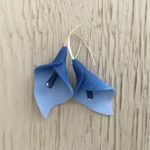 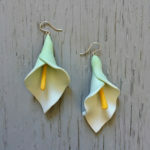 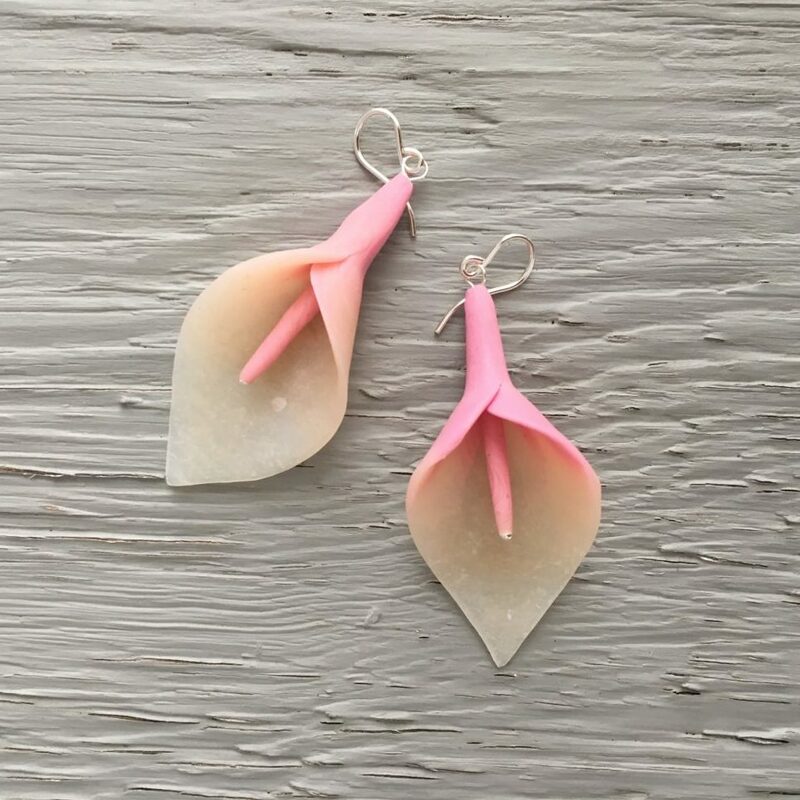 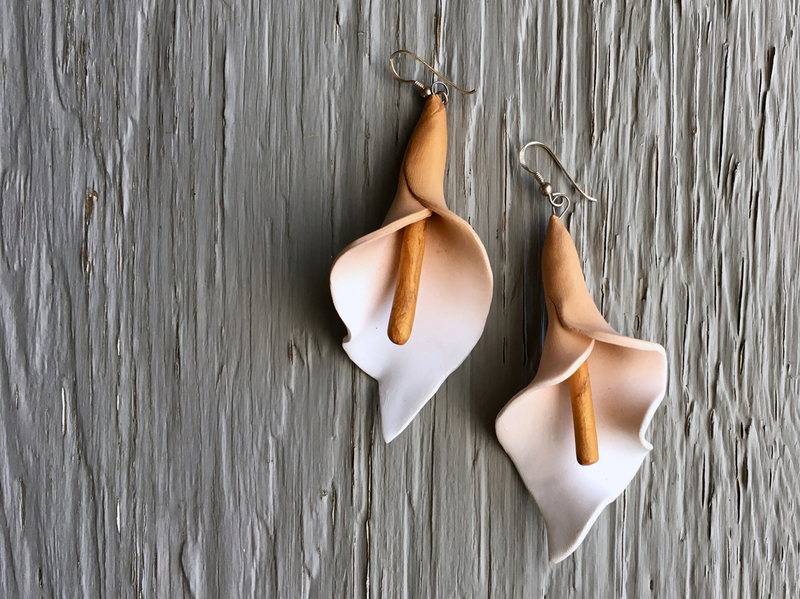 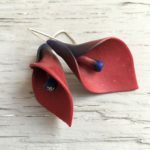 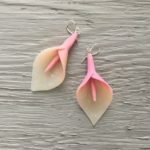 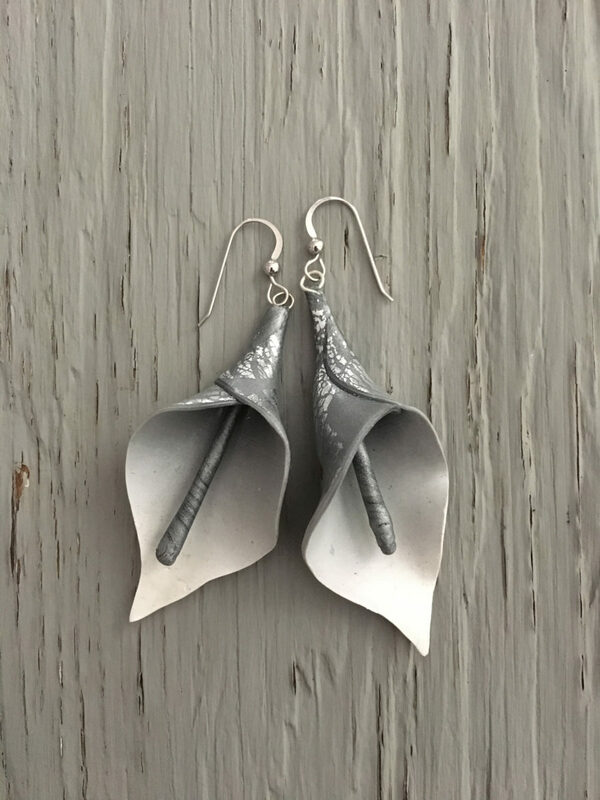 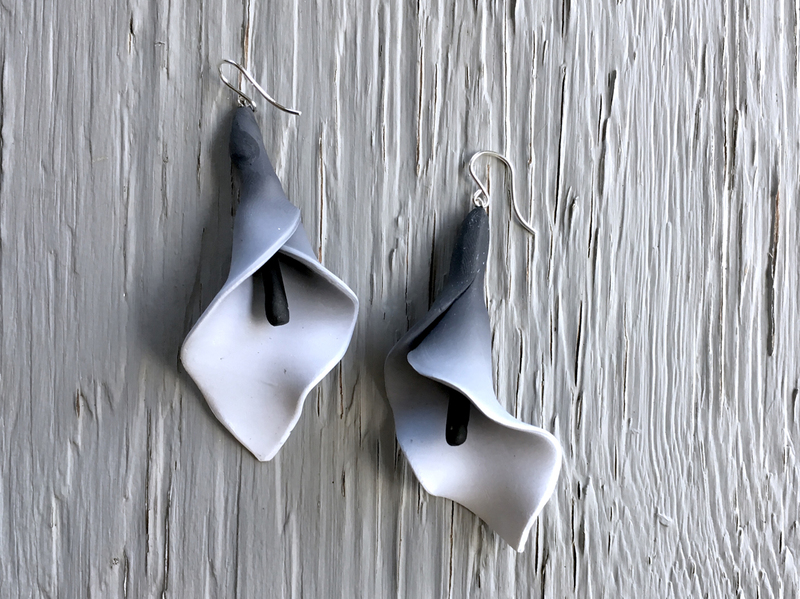 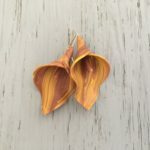 The sultry “Kahlo” earrings present the calla lily: a floral motif of Mexican folk art. 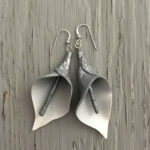 They are sculpted on sterling silver or 18k gold filled earwires. 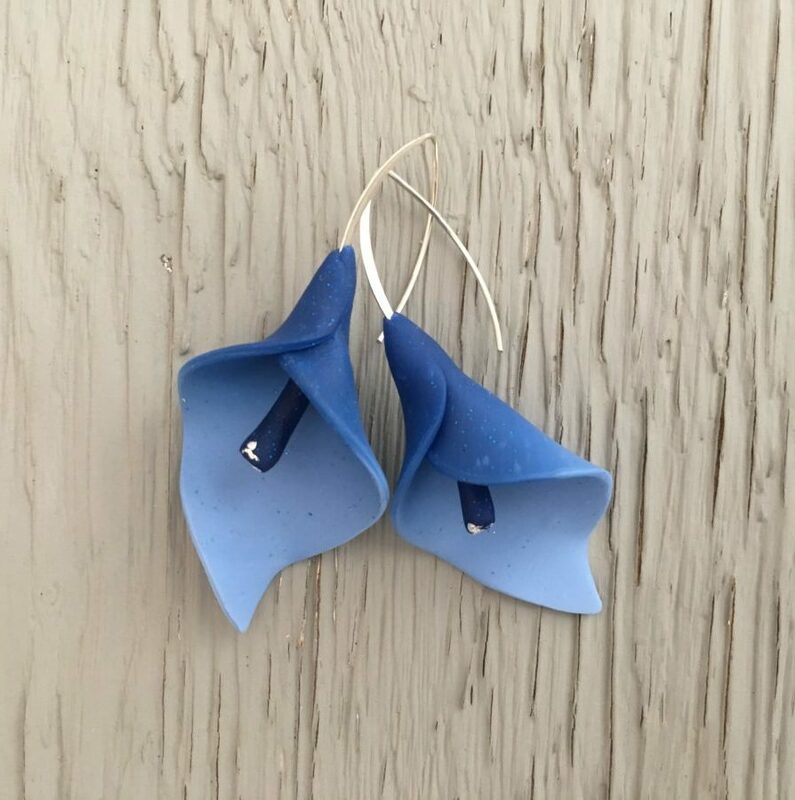 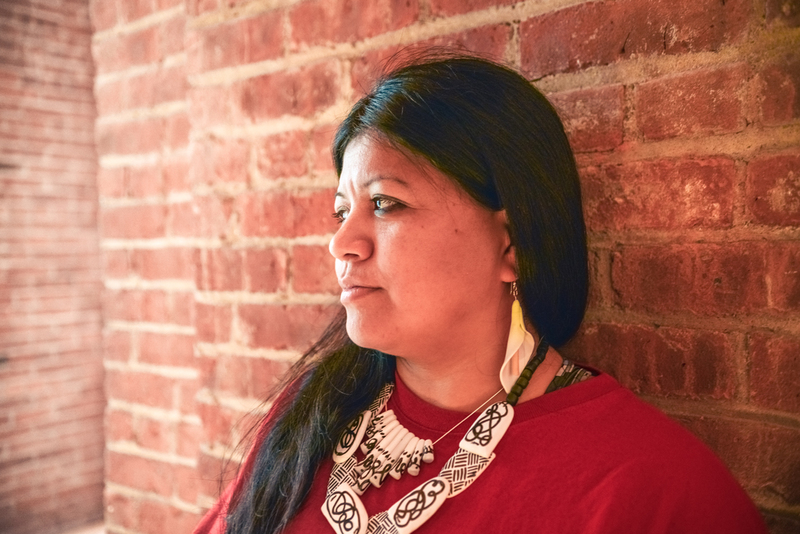 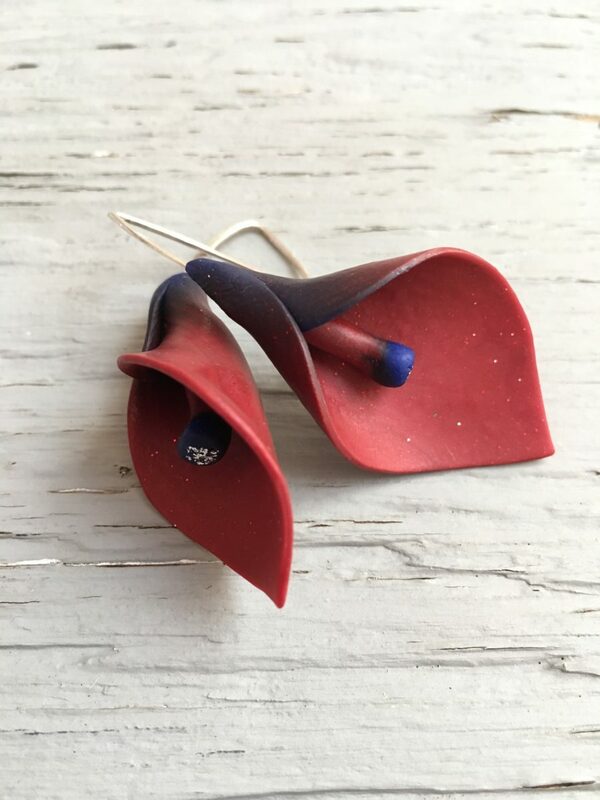 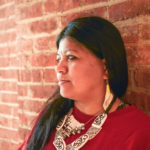 To commission the “Kahlo” earrings, please include a note stating your desired 2-toned color blend.